Of course, every trip must come to an end. 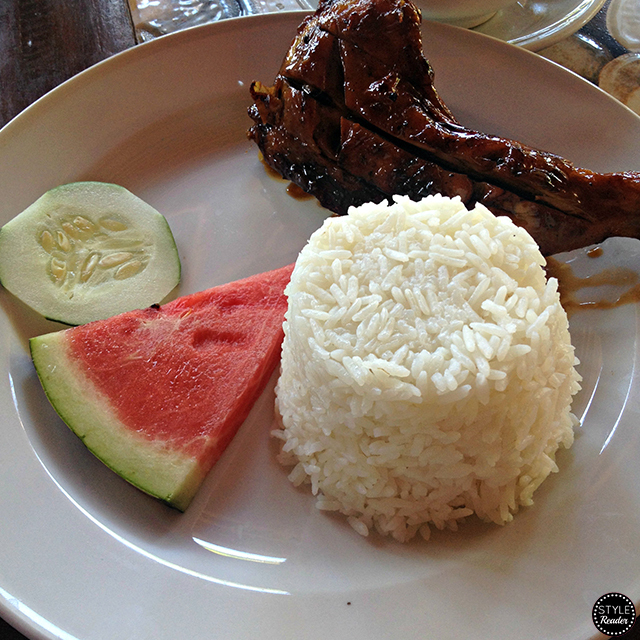 But before we left paradise, it was a must for us to check out some restaurants in the area. So we chose to visit Ka Inatô. Nike have been there before with her family and they've mentioned that the food there was delicious and just right for your budget. I wasn't able to take photos of the place but it was truly a mixture of food and art. You can just catch up and dine while appreciating quaint art around you. I ordered their spicy chicken inatô, or what we all know as chicken inasal. I was craving for anything spicy during that time and this didn't disappoint. It was really hot inside and on the surface. Mind you, I also have soysauce with calamansi and lots of chili. 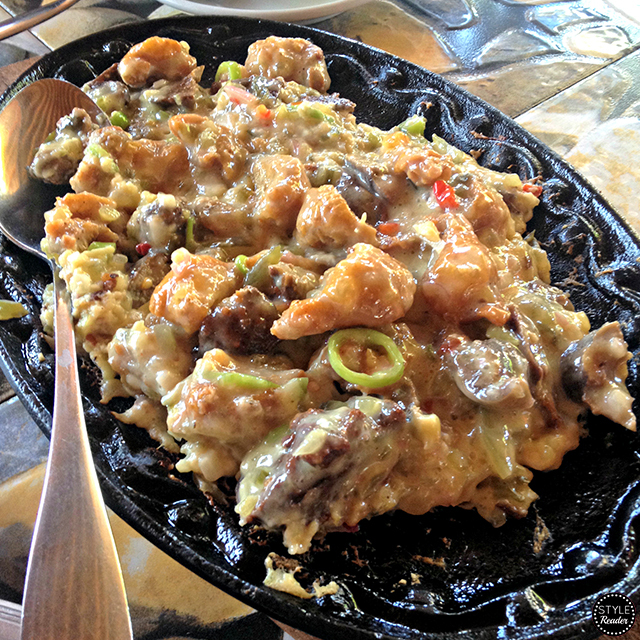 We also tried their sisig, and it looked and tasted oh so good! It is definitely a place to visit whenever you're around the area.